Japan’s Masayoshi Son is nearly done raising a $100 bln tech war chest. If investments double in value, SoftBank’s own holdings would swell by $28 bln, and it would share in nearly $6 bln more of profits. The challenge is finding good, big bets in already expensive markets. SoftBank's emotion-reading robot Pepper is seen at the SoftBank Group Corp's headquarters in Tokyo, June 30, 2016. 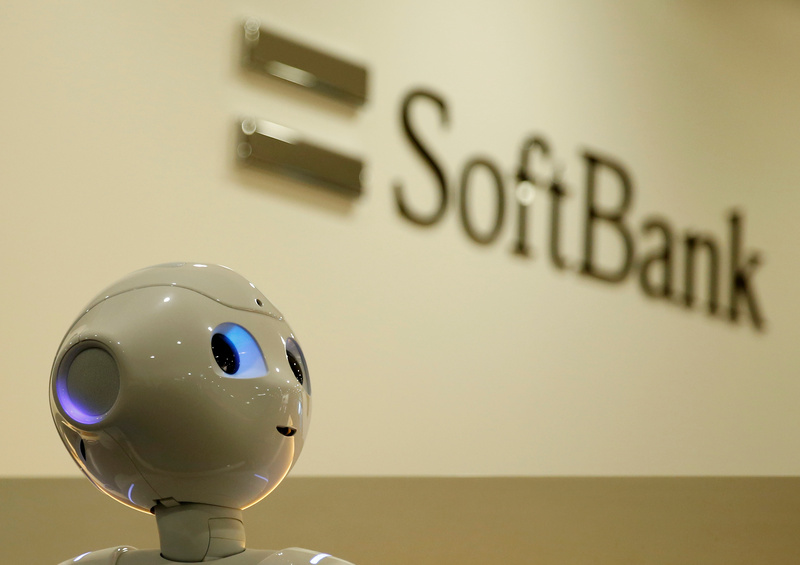 The SoftBank Vision Fund secured more than $93 billion of committed capital as part of its first funding round, the investment vehicle announced in May. Outside investors in the fund managed by Japanese technology company SoftBank include Saudi Arabia’s Public Investment Fund, and Mubadala of the United Arab Emirates, as well as Apple, Foxconn, Qualcomm and Sharp. SoftBank will itself invest $28 billion into the Vision Fund. This includes injecting a near-25 percent stake in ARM, the chip designer, at an $8.2 billion valuation. The Financial Times and Wall Street Journal have each since reported SoftBank will keep about 20 percent of profits from the fund, above a threshold of about 8 percent. Both newspapers have also said outside investors would contribute some capital through debt-like preferred units, paying a 7 percent coupon. The FT, citing people familiar with the structure, added that if the fund reached $100 billion, outsiders would supply $44 billion of debt and $28 billion of equity.